With modern smart phones one can create excellent images. But the quality deteriorates quickly once one tries to zoom in. But there is a solution: Taking smart phone pictures through binoculars (see also our previous bllog post https://thandablog.com/2016/06/29/smart-phones-and-binoculars/). 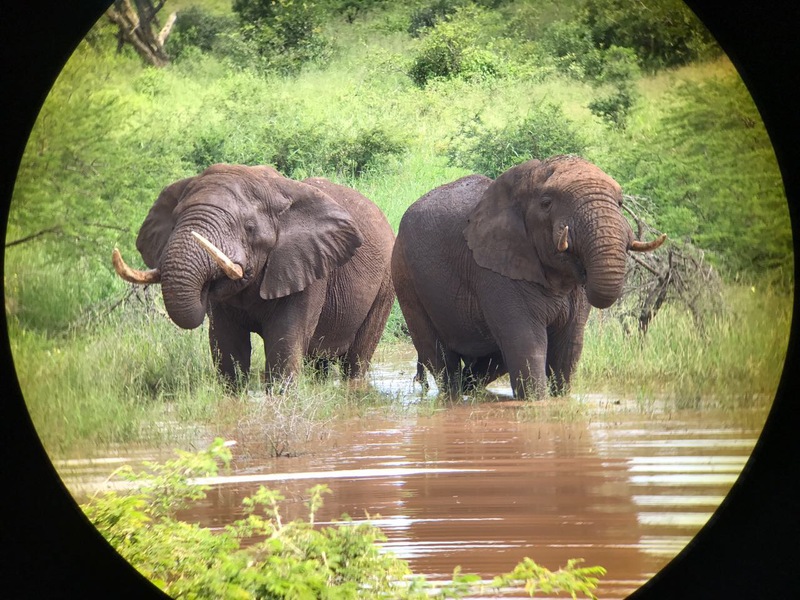 This fantastic image of two of Thanda Safari’s large Elephant bulls having a drink was taken by Pieter Pretorius, Thanda Wildlife Management Team. He used an iPhone 7 and Leica Trinovid 10×42 HD binoculars. ← Listen to the young voices!